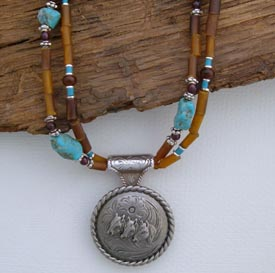 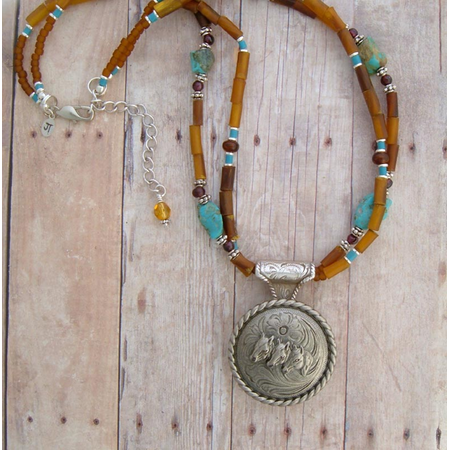 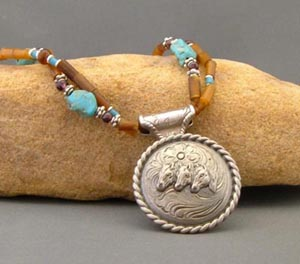 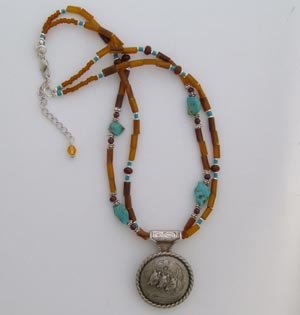 This Western Jewelry necklace is beaded with Turquoise, Horn,and Garnet beads highlighted with sterling silver. 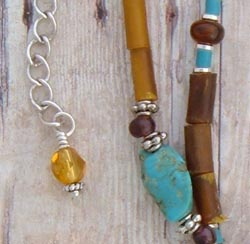 18" Long with 2" extender. 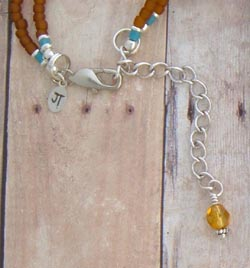 Brown crystal accent bead on extender. 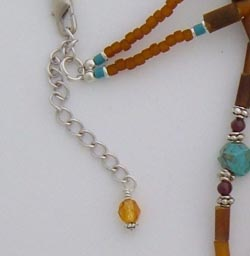 An absolutely stricking necklace in muted colors which may be worn throughout the seasons. 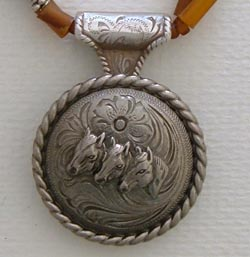 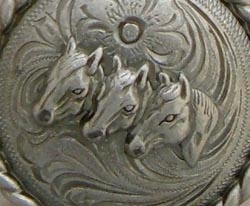 Sorry, this item has been sold, however, I can make something very similar for you if you'd like or, maybe with a different style of concho.